Horses have always played an important role in Cristina Heet’s life. 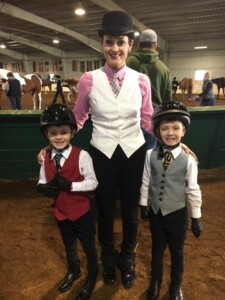 From her father having Quarter horses on their farm, to her twin boys showing in academy, horses have been a family tradition. Heet began riding at a young age, with family ponies Dolly and Sue, and shortly after began showing a pony named King. Heet’s show career started out in the 4-H circuit. She showed different horses her family owned in barrel and speed events, with much success. She showed her mare, Melody, achieving high point champion at the American Royal National 4-H Show and winning reserve champion in MHSA Stock Seat Medallion multiple times. Her mom surprised her with her first Saddlebred, The Image Maker, after she started formal riding lessons at Bell Stables. She showed in walk-trot for a few years before purchasing another Saddlebred, Justa Fantasy, who she showed for a few years. After Justa Fantasy, Heet bought Sundrifters Showman, who she showed in equitation and three gaited. 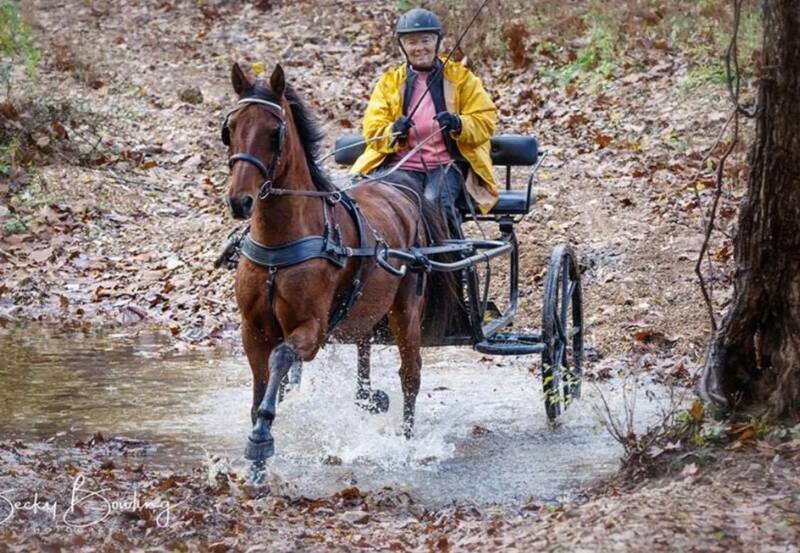 After selling Sundrifters Showman, Heet purchased her beloved equitation horse Spirit Chaser. “Ernie” and Heet dominated the equitation division, rarely being defeated. Heet describes Ernie as the toughest horse to ride yet the greatest horse she owned. Heet also showed CH Callaway’s Will’s Type in the five-gaited division. “Willie” was a favorite of Heet, as she considers him to be a “once in a lifetime horse”. Heet showed with Bell Stables and later moved to Brenda Benner Stables after purchasing Justa Fantasy. Heet showed with Brenda Benner Stables for about fifteen years. Throughout her junior exhibitor career, Heet had several memorable moments. “This is a hard one as I’m not sure I can pick just one. I had the opportunity to show at Madison Square Garden in the Good Hands finals. That trip was just a whirlwind, but we had so much fun. 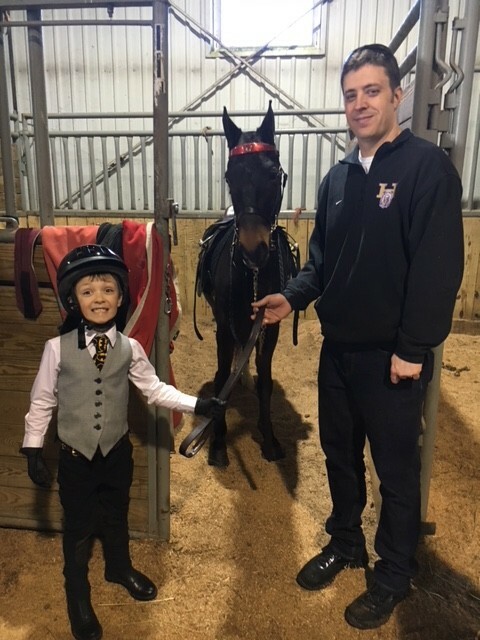 The first show that I had taken Ernie to was for the MHSA Saddle Seat Finals and we ended up winning the finals at that show–I can still remember most of that pattern!” says Heet. Heet continued to show after her junior exhibitor career, continuing on with her success in both equitation and performance classes. In 2005 she was part of the Saddle Seat Invitational Team. In 2006 she was a member and captain of the five-gaited Saddle Seat World Cup for Team USA. 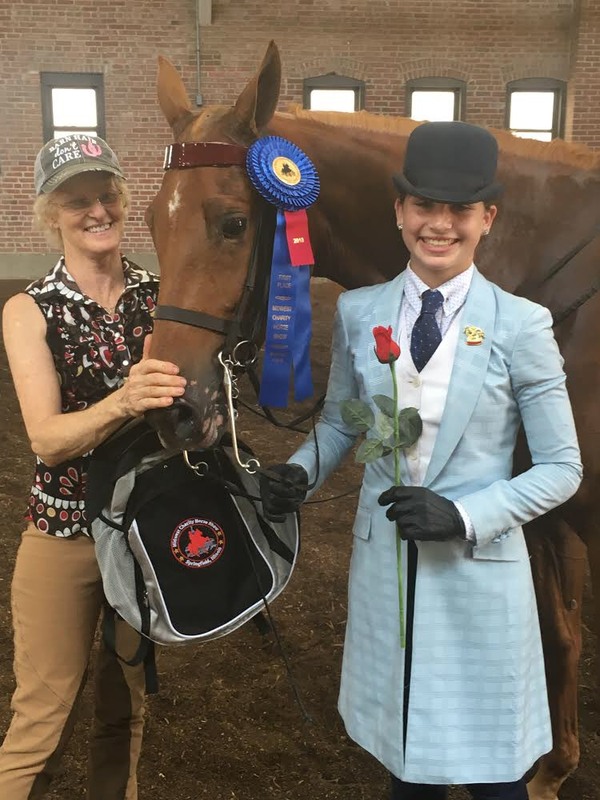 She has also continued her equitation success by winning the National Pleasure Horse Olympics Adult Equitation Final and taking home reserve champion in UPHA Adult Challenge Cup and National AHSA Adult Equitation Final. She has also won on multiple occasions the Saddle and Bridle Five-Gaited Horsemanship Finals. Heet took about a two year break from showing, but then picked it back up again after purchasing RWC Mr. Gordon Lightfoot. She showed him with Glendale Stables in Junior Park and Show Pleasure division. After selling him, she took another break from the show ring, this one for about three years. “Thankfully, Gary Dickherber and Garland and Sydney Middendorf were kind enough to let me ride and show a few of their horses, so that led me to where I am today with two fantastic horses and a sweet hackney!” says Heet. Heet currently owns and trains her own horses. She keeps her horses on her family’s 200 acre farm. Heet also continues to receive tips from Brenda Benner. Heet shows her Saddlebreds Get Myself Connected in Hunter Country Pleasure and Open English Pleasure and Charming Delusion in Show Pleasure and Open English Pleasure. 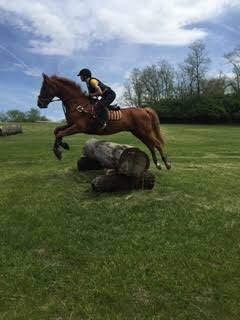 She also owns a pleasure pony, Knight’s Big Chex to Cash, who is leased by Brenda Benner and shows pleasure pony driving with Gary Dickherber and in academy. Now, Heet’s two sons, Braden and Barrett, have joined in the family tradition of showing. They currently show in leadline and academy driving. At the age of seven, Braden and Barrett already have their goals set on showing at the Academy Nationals in the fall. The two have put in a lot of hard work and hope to be showing out of leadline soon. Though Heet’s husband doesn’t show, he is very supportive of Cristina, Barrett and Braden. 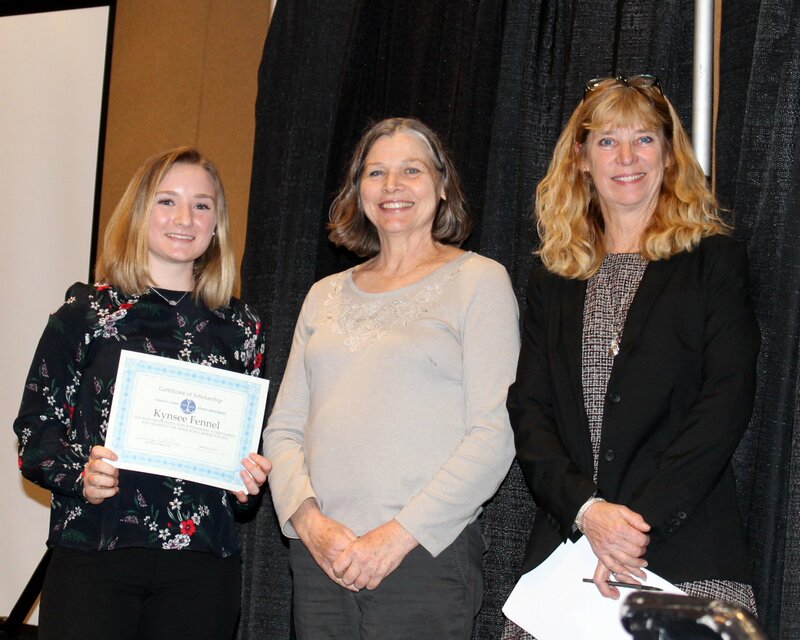 When Heet isn’t spending time with her family or horses, she is busy with her job as the Director of Student Services for the Centralia R-VI school district. Heet oversees the district’s Special Education and Federal Programs department; she is the district’s compliance officer and the coordinator for Parents as Teachers. Heet received her Doctorate in Education from William Woods University. Heet is a talented horse women, whose success has continued on from her junior exhibitor career. Her hard work and dedication has helped her bring home several championships, as well as memories that will last a lifetime. Horses have always been a huge part of her family and the tradition is continuing on with her sons. Heet continues to succeed both in and out of the show ring.